Week 93 and it’s taken a while to find the time to put this blog on even though it was done last weekend! I delved as usual into Mary Berry’s Baking Bible and found these two recipes. It has occurred to me that quite a few of the recipes left for Mary are complicated or rich cakes so i will have to endeavour to find some occasions to bake them! They are not your every day bakes. I started this week with the treacle spice tray bake. I took my new mixer for a “test drive” – and it didn’t dissapoint- it mixed this all in one recipe like a dream. ( Thank you again x) I lined a tray bake tin, poured it in and into the oven it went. The final bake was a lovely glossy brown with the most heavenly aroma and it is keeping really well under my cake glass dome. The second recipe was Mary’s frangipane tartlets. I followed Mary’s instructions about making the pastry carefully, lined the mini tartlet tins ad put them in the fridge to chill while I made the frangipane filling. I had decided to make four slightly larger tarts rather than the 12 tiny ones that Mary says her recipe will make. 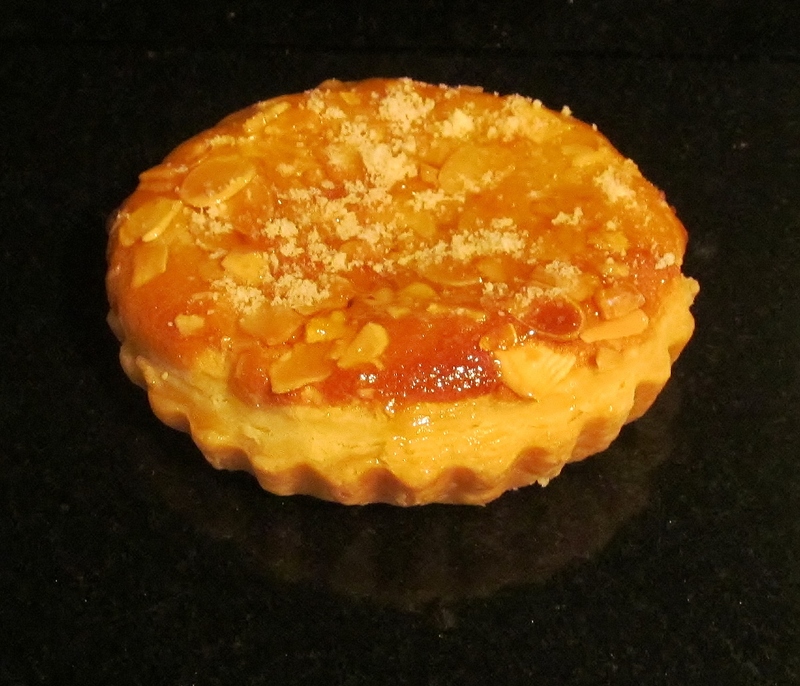 Once the frangipane filling was made, I filled the tart cases and put them in the oven to bake one I had sprinkled flaked almonds on the top. The tartlets, once cooked needed a final touch with a glaze of apricot jam, warmed through and a sprinkle of ground almonds. The Great British Bake Off is heating up now, and my initial three names that I blogged about are still in it so far. I must say that one of the bakes this week has again inspired me to attempt a bake I had been putting off in Mary’s book. More of that soon, this week’s bakes will be done over several days. 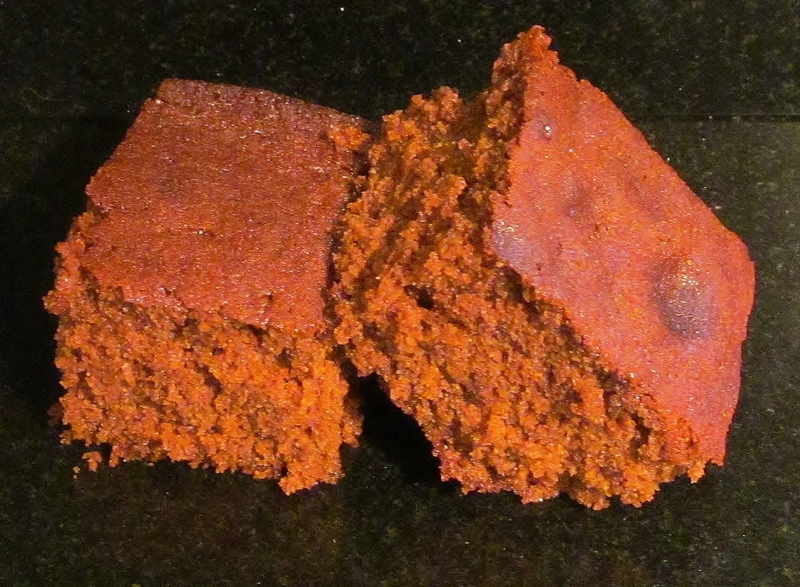 one this weekend as we still have some treacle tray bake left and one roughly midweek-watch this space. This entry was posted in Uncategorized and tagged frangipane, frangipane tartlet, kim's frangipane tartlets, Kim's Treacle Spice Tray Bake, kims cake challenge, Mary Berry, Mary Berry's Baking Bible, mary berry's frangipane tartlets, Mary Berry's Treacle Spice Tray Bake, spice, tartlets, The Great British Bake Off, traybake, treacle, Treacle Spice Tray Bake by kimsideas. Bookmark the permalink.